Sir Clive Woodward has paid tribute to the newly retired Mike Tindall comparing him to Brian O'Driscoll and labelling him the "rock" in his World Cup-winning England side. Tindall announced his retirement on Tuesday and in the process became the last man from the 2003 World Cup-winning side to call time on his career. For Tindall, he is now weighing up his next move and Woodward believes he would be an "exceptional coach" though in his column for the Daily Mail, Woodward pays tribute to his inside centre. 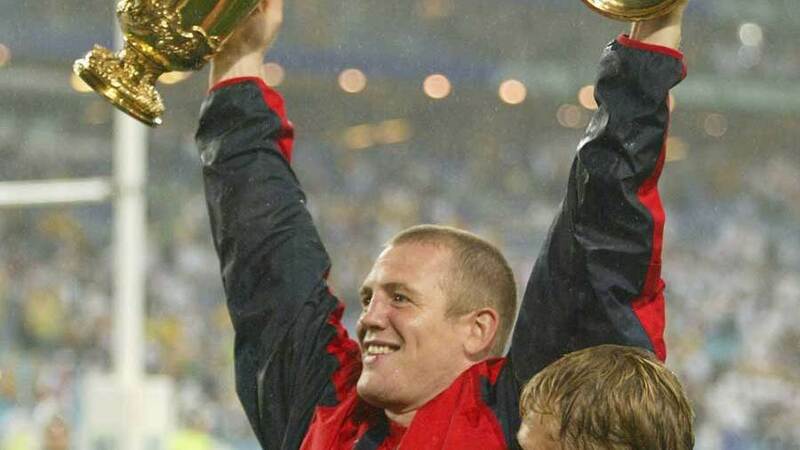 A full 3888 days have passed since England lifted the William Webb Ellis trophy on that famous night in Sydney and now all of the players who had some role in the World Cup win have called time on their playing careers. Following Friday's announcement that Iain Balshaw has been forced to hang up his well-worn boots, just Mike Tindall remained but on Tuesday, he too decided it was time for him to take a place in the shadows. At the end of last season Tindall hinted he was pondering retiring from the game to take up a full-time role in Gloucester's backs but then Nigel Davies was sacked and a new-look backroom team at the Cherry and Whites was brought in by director of rugby David Humphreys. Tindall was a free agent. He managed to play 24 games last season and so would have been an attractive option for teams both near and far in both an on and off-field capacity but he has decided to bow out at the top. "He was sometimes under-rated but not by me or any of the England guys who played alongside Tinds. He was very strong, ran a nice outside curve, had a big clearing kick, was hugely brave in the tackle and contact area and had a much better passing game than he was given credit for. "For a few years, Mike was as good as any centre in the world, right up there with Brian O'Driscoll. Take a look at the recording of England's 2003 Grand Slam decider against Ireland at Lansdowne Road and watch their battle carefully." And assessing Tindall against the crop of England players, Woodward believes he would be first choice. "Tindall, in his pomp, would walk into the current England team in that problem outside centre spot. I rate him above Manu Tuilagi although Manu is still fairly young and has the potential to take his game to another level yet. "The ultimate team man, Mike was always at the heart and soul of the group. At meetings he was generally fairly quiet and attentive, but as the game approached he would always start to energise proceedings and he was a strong, confident voice in the dressing room. He was hugely respected by his peers."